It’s NFP week once again, comdoll buddies! Let’s take a look at the inflection points on AUD/USD, USD/CAD, and NZD/USD and potential trade setups. Bah! Price is still stuck around those post-breakout highs so I’m staying on the lookout for a pullback or another breakout on this one. Stochastic is turning south, though, so a move lower might be more likely. 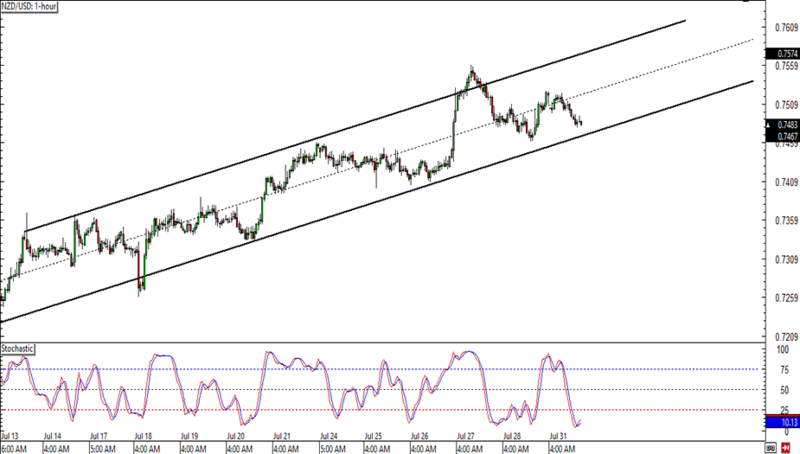 With several catalysts lined up from the Land Down Under this week, AUD/USD might be in for more volatility than usual. I’ve still got the Fibs on the daily time frame and I’m seeing a potential area of interest around .7700 to .7800, which might serve as an ideal correction area before the uptrend resumes. USD/CAD enjoyed more volatility than usual in the past week as oil prices and the Canadian GDP did a number on the pair. Still, the downtrend remains very much intact, even after price popped slightly above the short-term channel I’ve been watching for quite some time. I’m also seeing a larger descending channel on the 4-hour time frame and USD/CAD might be due for a pullback to its resistance at 1.2800. Stochastic seems ready to turn higher, so bullish momentum could return at some point, but it could all boil down to oil stockpiles data and the Canadian jobs report later on. 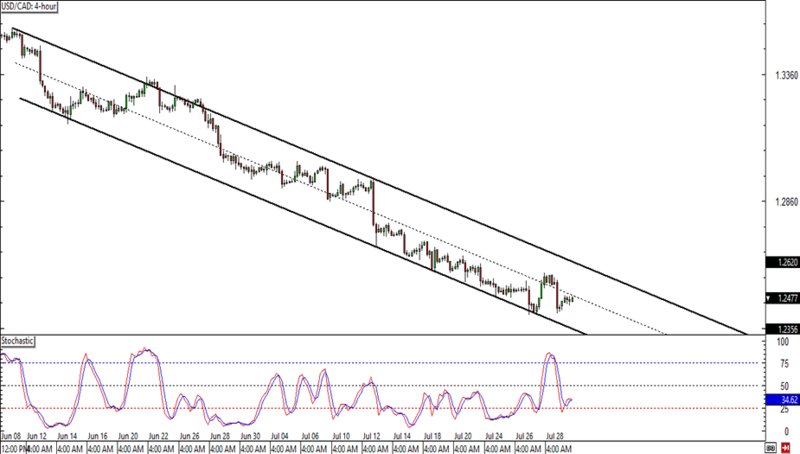 Last but certainly not least is this neat rising channel that’s forming on NZD/USD’s 1-hour time frame. Price just bounced off support and seems to have enough support from Kiwi bulls to reach the channel resistance near .7750. 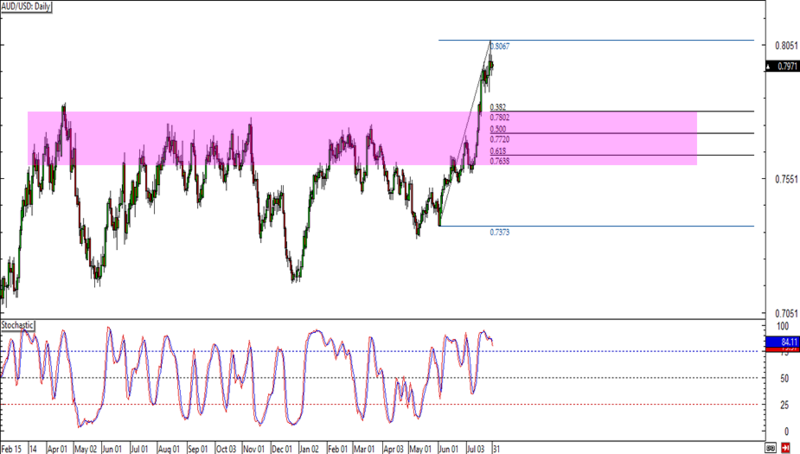 Stochastic is heading down from the overbought zone, however, so Kiwi bears might still have a shot at pushing for another test of support or even a break lower. This week’s New Zealand quarterly jobs release could be a make or break then!